2019 Mercedes-Benz E-Class E 300 4MATIC® 4MATIC® 9-Speed Automatic I4 4MATIC®. Recent Arrival! 21/29 City/Highway MPG -2019 Mercedes-Benz E-Class E 300 4MATIC® 4MATIC® 9-Speed Automatic I4 4MATIC®. Polar White 2019 Mercedes-Benz E-Class E 300 4MATIC® 4MATIC® 9-Speed Automatic I4 4MATIC®. 21/29 City/Highway MPG -Polar White 2019 Mercedes-Benz E-Class E 300 4MATIC® 4MATIC® 9-Speed Automatic I4 4MATIC®. Gray 2019 Mercedes-Benz E-Class E 300 4MATIC® 4MATIC® 9-Speed Automatic I4 4MATIC®. 21/29 City/Highway MPG -Gray 2019 Mercedes-Benz E-Class E 300 4MATIC® 4MATIC® 9-Speed Automatic I4 4MATIC®. Iridium 2019 Mercedes-Benz E-Class E 300 4MATIC® 4MATIC® 9-Speed Automatic I4 4MATIC®. Recent Arrival! 21/29 City/Highway MPG -Iridium 2019 Mercedes-Benz E-Class E 300 4MATIC® 4MATIC® 9-Speed Automatic I4 4MATIC®. Black 2019 Mercedes-Benz E-Class E 300 4MATIC® 4MATIC® 9-Speed Automatic I4 4MATIC®. Recent Arrival! 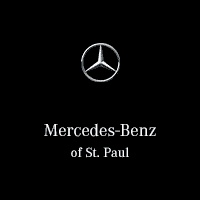 21/29 City/Highway MPG -Black 2019 Mercedes-Benz E-Class E 300 4MATIC® 4MATIC® 9-Speed Automatic I4 4MATIC®. Black 2019 Mercedes-Benz E-Class E 53 AMG® 4MATIC® 4MATIC® 9-Speed Automatic I6 I6, 4MATIC®. Recent Arrival! 21/28 City/Highway MPG -Black 2019 Mercedes-Benz E-Class E 53 AMG® 4MATIC® 4MATIC® 9-Speed Automatic I6 I6, 4MATIC®. Obsidian 2019 Mercedes-Benz E-Class E 53 AMG® 4MATIC® 4MATIC® 9-Speed Automatic I6 I6, 4MATIC®. Recent Arrival! 21/28 City/Highway MPG -Obsidian 2019 Mercedes-Benz E-Class E 53 AMG® 4MATIC® 4MATIC® 9-Speed Automatic I6 I6, 4MATIC®.